The 2017 Ford Flex and the 2017 Toyota Highlander are both midsize 3-row SUVs. If you are looking for a vehicle of this type, you should know how these two compare. The results of the Flex vs Highlander comparison will surprise you! To start with, the 2017 Flex is priced hundreds lower. Its base MSRP is $30,025, while the 2017 Highlander starts at $30,630. The Flex’s destination charge is lower, just $895 compared to the Highlander’s $960. Advantage Ford! The standard engine in the 2017 Ford Flex is a 3.5L V6 with 287 horsepower. This gives you plenty of power, even when you are carrying a full load. The 2017 Toyota Highlander has to make do with its standard 2.7L four-cylinder engine that puts out only 185 horsepower. 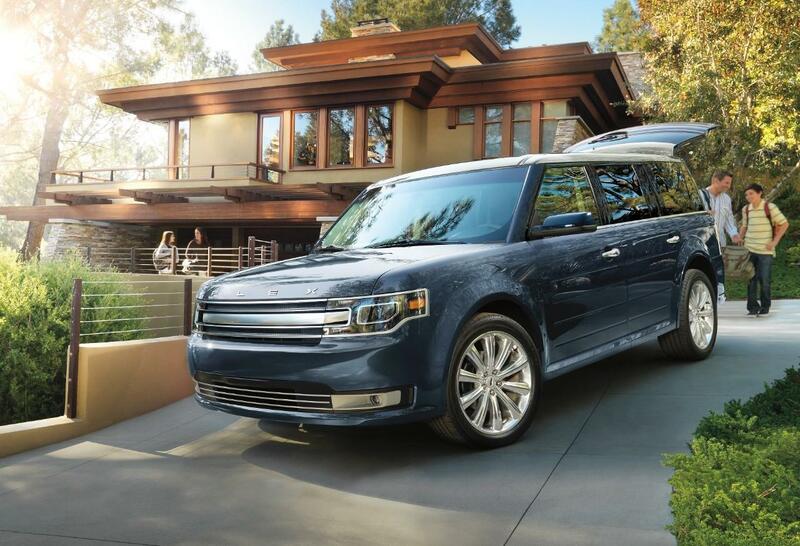 That’s 102 horsepower less than the Flex – quite a big difference. This shows quite clearly in their zero to 60 mph times: Flex does it in a quick 7.0 seconds, while the Highlander takes 9.6 seconds. Advantage Ford! If you have a boat or a camper trailer you like to tow, it’s good to know that the 2017 Flex seriously outmuscles the 2017 Highlander in towing ability. You can chalk that up to the superior pulling power of the Flex’s standard 287-horsepower V6. For example, Flex beats Highlander on maximum trailering capacity by 500 pounds, with 2000 pounds for the Flex vs. just 1500 pounds for the Highlander. Advantage Ford! The 2017 Flex gives you more for your car-buying dollar. Advantage Ford! Ford Flex Vs. The Competition: Flex Wins! Let’s sum things up. The 2017 Ford Flex Vs. 2017 Toyota Highlander comparison is no contest! The 2017 Flex from your Southern California Ford Dealers beats Highlander on price, power, space, towing, and standard features. Contact your local Southern California Ford Dealer for a test drive.